At the start, when there were less than ten languages, two translators worked full time for terminology. It was then reduced to one translator. They worked with the classical system of putting cards in alphabetical order in grey boxes that could be found on every translator’s desk. The Division of Terminology collected the material in all languages and big glossaries were printed with the terms translated and separate alphabetical indexes for all languages. More than 100 multilingual glossaries on several domains and regular terminology bulletins were printed and distributed to all translators together with the dictionaries in their respective languages. A lot of terminology was produced in the collations on specific difficult and important texts. Consultations were organised in presence of the responsible administrator or the draftsman’s representative and the translators in each language. Several languages kept organising meetings with the translation divisions of the other Institutions, mainly the Council and the Commission. In the embryonic period of computer use in the European Parliament, some attempts were made to create an interactive system for terminology among the language divisions, like the one made in dBase by Rodolfo Maslias, today’s Head of Unit of TermCoord. dBase was the first interinstitutional terminological database implemented within the European Union when it was then only made of six languages. In the eighties, when the first commercial software, like Workbench and Multiterm, started to be used, the Director of Translation decided to merge the Terminology Division with the technical services (then called SILD, today’s ITS) keeping only three of the former full-time terminologists in the department. 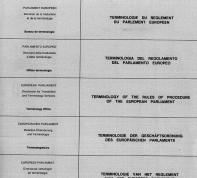 In this period, the main achievement was the introduction of all terminology from the printed glossaries into an EP proper database called EUTERPE (standing for: European Terminology for the European Parliament) developed in parallel with the database fed by the Commission, Eurodicautom. At the start of the 21st century, the need for one unique compatible interactive database was made obvious by the overall attempt to strengthen the collaboration on translation among the Institutions and the increasing involvement of the Parliament in the legislative procedure. The Greek IT firm Quality & Reliability and the Danish research institute Centre for Sprogteknologi replied to the tender that lead to the creation of IATE (standing for: Interactive Terminology for Europe). This database was meant to be the unique interinstitutional terminology tool and all databases were entered into IATE through massive import methods. IATE adopted the ready structure of the multilingual thesaurus Eurovoc, which still corresponds to its domains. The three terminologists who had transferred from Translation to SILD undertook the task of handling IATE on behalf of the EP with the help of two assistants. Their main task was to enter the content of EUTERPE into the database as well as some relevant EP terminology such as the Rules of Procedure. In March 2008, it was felt that the European Parliament needed a separate service to stimulate and to coordinate the terminology work that had to be done with the use of IATEThe new Terminology Coordination Service was created in October 2008.  The whole strategy, the objectives and the methodology were set by a first very small team consisting of the Head of Service, one full timeadministrator coming from the Administration and one part-time administrator seconded from ITS. The Service deployed its activities with a group of rotating trainees, specialised in computational linguistics and communications. The valorisation of the knowledge and enthusiasm of these young people from all European countries still makes the strength and the dynamism of TermCoord. In the following years, the Terminology Coordination Service has developed its activities and the representation of the EP in the interinstitutional terminology bodies, completed its roster and was converted into the Unit as presented on this website. Since 2011, TermCoord has launched an initiative for the creation of an Interinstitutional Terminology Portal. Once it was adopted by the IATE management group and the interinstitutional decision makers, TermCoord started the conception process an set up wikis in each language to enhance the terminology cooperation among translators and terminologists of all Institutions. 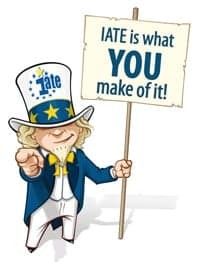 Now, every language unit of the European Parliament is in charge of the input of new terms and completion of missing languages, updates and validation of the entries in IATE. TermCoord coordinates these activities and provides translators and trainees with topic-related projects, help and support. They are also constantly working on interinstitutional consolidation in IATE. TermCoord undertakes proactive terminology, monitoring the legislative procedures to identify the terminology needs of the translation units. Therefore, the team prepares “TermFolders” with reference material on important issues, searches for topic-specific glossaries and ensures the linguistic consistency of the EP databases. Terminology in the European Parliament has come a long way since the launch of the institution and keeps on evolving. TermCoord has increased its recognition and efficiency in accompanying translators in their daily tasks and wishes to further develop its activities and connections.